The combined imagination of all of us has painted a beautiful picture of meeting another Kind, ready to welcome them in peace and happiness. Only, that not how it goes. It rarely is. In the basement of a backwards criminal hideout in the backwaters of Pennsylvania, two men find something that could save or end their careers. Neither could comprehend the chain of events that they set in motion, while the creature in their care struggles to find herself amidst an alien world. Here is the story of how we first met one of them, and where the story really started, long before anyone broke out the welcome banners and champagne. Lyra has always been a pony of both worlds. A happy-go-lucky party mare playing in the Royal Orchestra is a pretty neat balancing act. In the city of Canterlot, though, there are ponies with even more polar double lives, and unknown to her she is about to witness a turning point between two such ponies; a DJ and a pianist, her friend, and her boss. I'm perfectly fine. Nothing at all to be upset about. I live a perfectly good life, don't complain, and move along. I'm happy. Only, she keeps turning up. I wish she would leave me alone, but...I think I need her. There was a sloth. He was a simple sloth. And then one day he was whisked away to Equestria. What will happen to him when he is slow to react to the imminent change? And what will the ponies who care for him make of this new, strange and oddly compelling creature? We heard that someone gave sloths a bad reputation 'round here, so we got together and tried to remedy the situation. The results are...mixed. Please don't hate us. 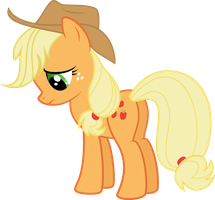 Applejack had always felt secure in her friendships, with the Elements of Harmony tying them together like family. But when the Elements are gone, she can't help but feel her friendships slipping. In this troubling time, one of those she thought she was losing comes to prove just how wrong she is. Two months ago, the world was rocked by one of the strangest stories heard in a thousand years. No demi-gods were involved, no evil creatures from enchanted forests. No, it was much more invasive, subversive than that. Nopony suspected anything til too late, and then? Then Ponyville was rocked by an explosion. Ponies the world had forgotten had gathered that night to die, victims of clockworks from another time, mourning the loss of themselves. That night, five innocent mares nearly lost their lives. And from the morning light, Vinyl Scratch was never seen again. To face that which she destroyed, she must fight powers far beyond her knowledge and uncover truths never seen by sane eyes. This is her story, and that of the Taken. Dale was your average bloke from Northern Ireland. Except that he hated the colour green. Everything pretty much unravelled from there. Now he's in Equestria with a giant chip on his shoulder, and Equestria shall rue the day they ever heard the name Dale Burke. This is my life now. It's a good life, too: Free food, free schooling and a roof over my head. A future laid out for me. I have everything I need to make the most of this. But then she shows up and makes me question whether I want to or not. She is infuriating, annoying, outlandish, boorish, exquisite. She reminds me of what I've lost. She reminds me of home. The Everfree Forest is known for its chaotic nature and boundless shadow. Very few creatures can live there and remain sane, but when one who has asks another who might to spend a night under its boughs, a deeper story is found in the light of the darkness. Pinkie Pie spends a night at Zecora's cottage, but she isn't as alone as her friends believe.